Jaw pain can take the joy out of daily activities like eating, exercising, sleeping or even having a simple conversation. Many times this discomfort comes from misalignment and unstable bite due to tooth loss. In the past, dentures and bridges would attempt to compensate for missing teeth but their discomfort, inconvenience and temporary nature often caused more problems than they solved. But now, patients suffering from jaw pain have another option: Dental Implants. A dental implant acts as the missing tooth’s root, holding a replacement – made from an impression of your own tooth, firmly in place. In most cases, anyone with healthy gums and enough bone to support the implant is eligible but it is necessary to get a full examination by your dentist to assess your individual situation. The biggest advantage of a dental implant is the fact that it literally becomes part of your mouth. A small titanium post is placed in the bone socket of the missing tooth. Once the jawbone has healed around the foundation post, a connector post is attached. This is what anchors the new tooth. Since the replacement is modeled off an impression of your own mouth, the look and fit will appear natural. It depends on where the tooth is missing – some places on the jaw are trickier than others – but most patients have a very high rate of success. Implants don’t interfere with your natural teeth like other replacements might – such as tooth-supported bridgework - which may require reducing surrounding teeth. A dental implant is a permanent, stand-alone procedure that leaves other teeth unscathed and allows for space to clean between the natural and replacement. This promotes long-term oral health. The word “implant” may instill fear in some who are looking in to replacement options but most patients report little to no discomfort. And since implants are fused to your jawbone, the fit and look both mimic your original tooth and will stand the test of time. Many people who deal with the hassle of denture maintenance, complain that they tend to slip and cause discomfort while eating or slurring while speaking. But an implant stays put – giving you a beautiful, natural smile. In time, it becomes easy to forget that it isn’t an original tooth as it provides a stable, aligned bite - which helps to relieve jaw pain. Not only are implants more convenient to live with than dentures or bridges, but they also don’t require specialized care outside a normal, committed dental hygiene routine. Brushing, flossing and consistent visits to the dentist are paramount to keeping your smile – including your implant - healthy for many years to come. Implants are the most convenient, natural-looking way to restore your smile and relieve nagging jaw pain. They allow patients to eat any type of food and provide the right fit to take care of misalignment issues. 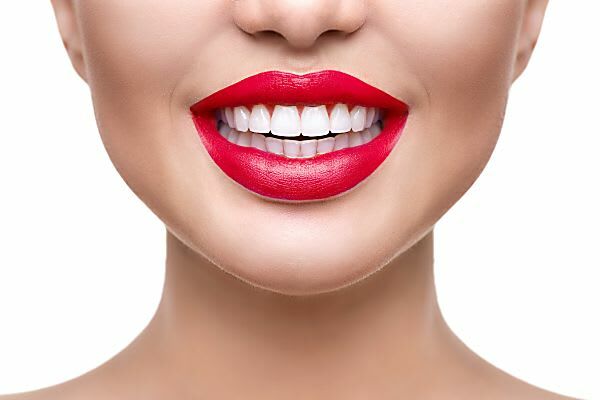 Dental implants allow you to take a confident bite out of life!